What is the pre-teaching major in music? If you’re interested in teaching music and would like to obtain a graduate degree, the pre-teaching degree program allows you to complete a Bachelor of Music in music education degree and a Master of Arts in Teaching degree in five years of study. After four years of undergraduate music education, you’ll undertake a fifth-year internship and graduate study to complete your Master of Arts and teaching certification. You’ll study music history, theory analysis and performance, as well as teaching methods and human development. You’ll be able to select an emphasis in vocal or instrumental music. 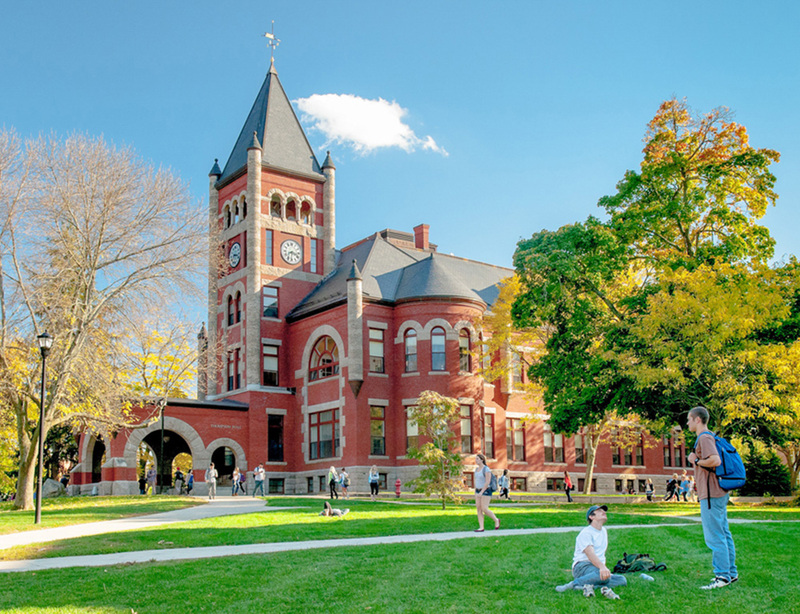 As a music student at UNH, you’ll engage with nationally and internationally known faculty in the field of music. You’ll be able to engage with the community through programs such as the Summer Youth Music School and through courses where you’ll practice teaching in school classrooms starting in the second year. UNH music education students boast nearly 100 percent employment or successful admission into graduate schools upon graduation. Our ensembles include touring chamber and choral groups, as well as orchestras and bands that inspire from the stage to the football field. The B.M. pre-teaching degree is the program of choice for most students seeking a five-year, combined bachelor's and master's degree program that includes certification to teach music in the public schools. Students will complete all of the skill and knowledge content requirements in this undergraduate program leaving a year-long internship and some advanced study in music and education for the fifth year. Students applying to the Master of Arts in Teaching program need a cumulative undergraduate grade point average of 3.2 or better to ensure admission to the graduate school. 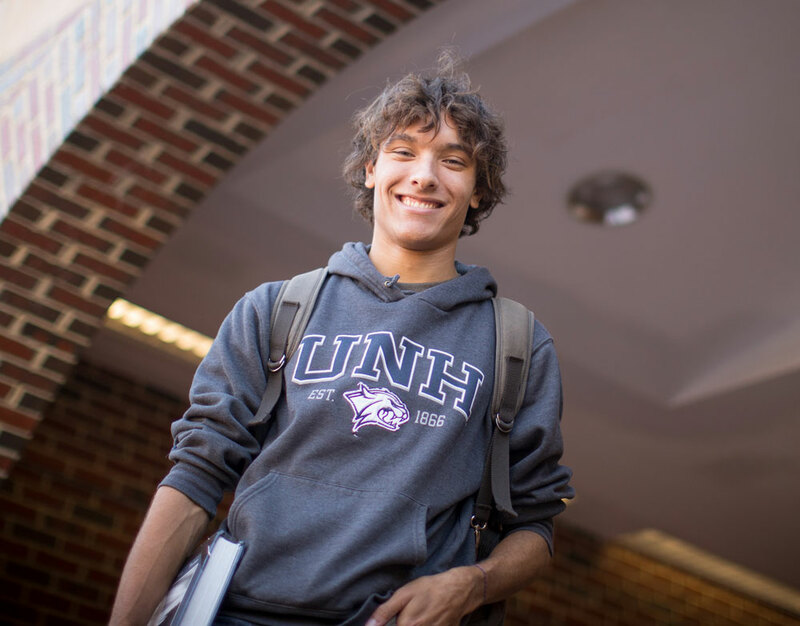 Therefore, students typically apply first to UNH as a B.M. music education major and switch to this B.M. pre-teaching degree in their junior or senior year. Candidates for a degree must satisfy all of the University Discovery Program requirements in addition to satisfying the requirements of each individual major program. B.M. in music majors may use MUSI 502 History and Literature of Music (a required core course for the major) to satisfy the Inquiry Discovery category requirement, and MUSI 515 Music in World Cultures (a required core course for the major) to satisfy the World Cultures Discovery category requirement. Additionally, B.M. music education and pre-teaching majors may use MUSI 501 History and Literature of Music to satisfy the Fine and Performing Arts Discovery category requirement. For students in the pre-teaching option, a half recital is required. Students will be given the opportunity to test out of MUSI 475 Functional Piano I, MUSI 476 Functional Piano I and MUSI 575 Functional Piano II, MUSI 576 Functional Piano II. Degree program has plan approval from the National Association of Schools of Music. Vocal track students take 2 credits. Instrumental track students take 3 credits. Instrumental track students take 1 credit. Vocal track students take 2 credits. Students in the bachelor of music pre-teaching degree program may use a maximum of 8 ensemble credits toward graduation. Of the 8 credits in ensemble performance (MUSI 441 Concert Choir-MUSI 464 Guitar Ensemble) required during the course of study, it is required that at least 4 credits will be from the following: MUSI 441 Concert Choir, MUSI 450 Symphony, MUSI 452 Wind Symphony, MUSI 453 Symphonic Band, and/or MUSI 451 Concert Band. At least 1 credit of performance in MUSI 460 Jazz Band) and 1 credit of MUSI 454 UNH Marching Band are highly desirable. Use these checklists to track your completion of major requirements. Always check with your advisor if you have any questions.